PatchworkPottery Blog: whimsical quilted crafts, baking, gardening & lots of tea! I finished my Madrona Road challenge quilt for the Vancouver Modern Quilt Guild two days before the deadline of March 18th. When I first arrived home from the guild meeting with my bundle of fabric, I pain-stakingly worked on deciphering the story in the text fabric hoping to gain some inspiration. 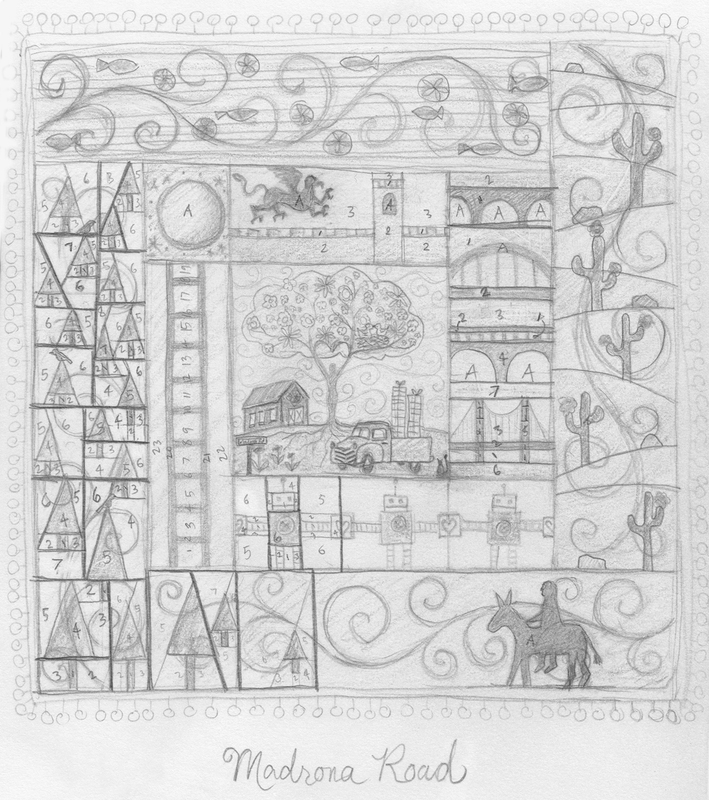 I knew right away that I would design the quilt around the gypsy girl in the story. 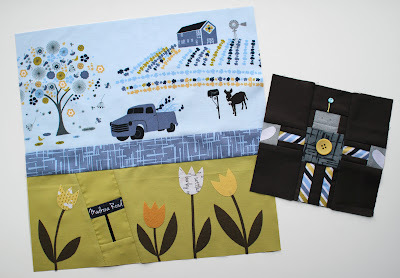 I headed on over to the fabric designer Violet Craft's blog to check out the entire fabric line and there in a post was the entire story written clearly right in front of me... ! I immediately fell in love with the Farmstead print which was missing from my bundle. I added a bunch of fabric to my pile plus a yard of the white text fabric and six other fabrics in the Citrus colourway... drool! From the start, I knew that my quilt would need large rickrack and bright yellow pom-pom trim to give it a gypsy flair! 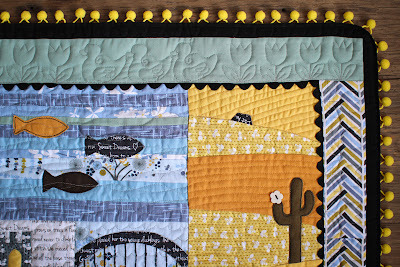 It was the first time using rickrack in the border and I was so excited to see it put together that I sewed it to the quit top without thinking... big mistake! 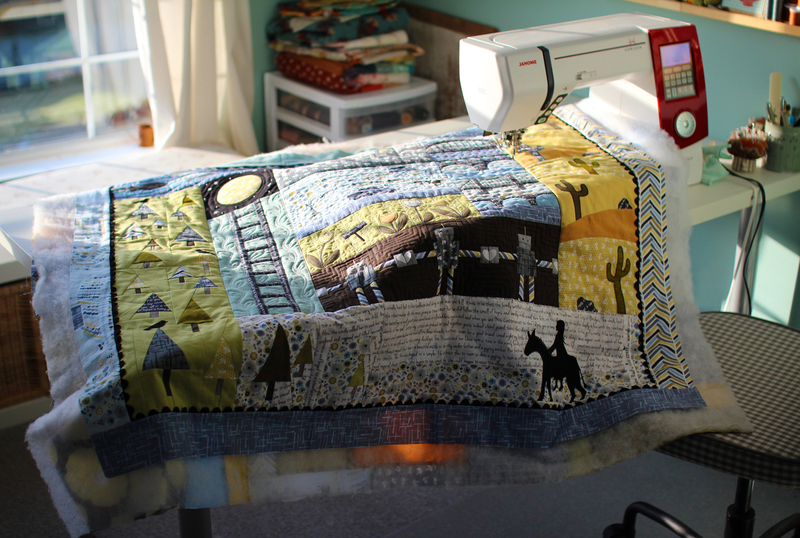 Free-motion quilting + rickrack = trouble! Next time I will remember to sew the rickrack on after quilting! I definitely put my new Janome Horizon to the test and was thankful for the easily height adjustable free-motion foot! 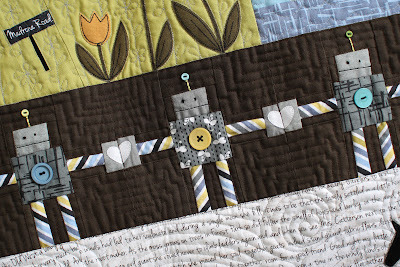 I left the outer border un-quilted to allow turning the edges of the quilt under when sandwiching the pom-pom trim. For the front edge, I folded a strip of black fabric in half lengthwise and pressed. Then I basted the pom-pom trim the folded edge of the strip. I attached the strip just like regular binding but to the quit top only, folding the batting & backing out of the way. Then I folded the batting and backing to the inside of the quilt matching the edge of the quilt top & trimming excess at the corners. Here is the front of the quilt. It is 42 inches square and filled with details. 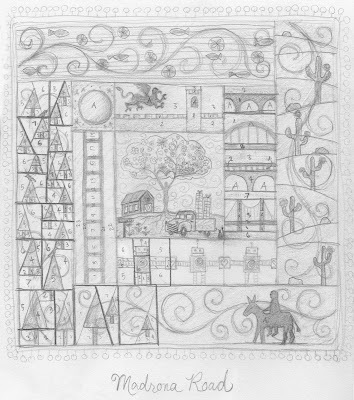 It is basically a giant log cabin layout with the story of the gypsy girl's life beginning at the bottom right and spiralling toward the centre. The gypsy girl is riding Buster the donkey following the winds through the forest, the sea and the desert. I originally had 21 paper-pieced trees in the design but that was insane so I toned it down to 19 ;o) I am especially proud of my free-motion pebble path through the forest! 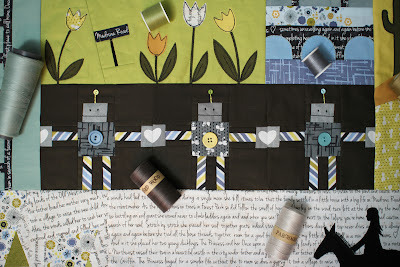 Then the girl falls in love with the robot maker which is shown by a row of paper-pieced robots whose magnetic hands stick together to form hearts. She climbs a huge ladder to battle an evil giant and settles with her family in a beautiful castle under the watchful eye of the Griffin in the City of Bridges. I had fun piecing and embroidering the bridges... maybe it's just me or does anyone else see Darth Vader's helmet in them?! They move on in search of a farmstead to call home and settle on Madrona Road. I changed the original design for the centre block slightly by using the Farmstead fabric for the background and I added a row of appliqued tulips with a fussy cut "Madrona Road" street sign. I finished quilting the outer borders with a few ducklings all in a row amidst tulips. Here is the back of the quilt. I fussy cut the complete story from the white text fabric, and used the information and a row of those sweet little flowers from the selvedge as the title! I machine embroidered a label and attached it to the bottom of the story and finished it off with a black border and a very carefully planned random-looking border that took me hours to design incorporating every last scrap of Madrona Road fabric in the Ocean colourway. I really like how my quilt turned out. I had fun free-motion quilting so many different designs and I enjoyed working with the Madrona Road fabric. And just look at that yummy pom-pom trim! I am so so so so so in love for this than i cant express my self. Какое красивое! Я бы хотела учиться у вас! 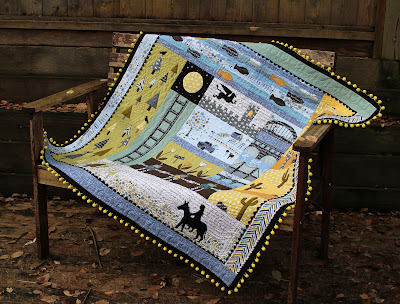 This quilt is just wonderful! 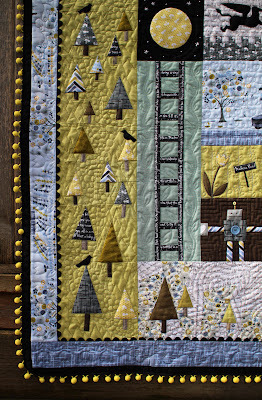 I love your details and quilting and everything about this. Quilt back is also just great! Your quilt is absolutely STUNNING. I love all the detail and how you have recreated the story ... really fantastic ... and quilted with a normal machine!!! So much detail! You have every right to be proud of that path of pebbles-it's terrific! What a great idea, to translate the whole story into fabric. Fantastic quilt, so beautiful and cute! This is amazing! You put so much work and time into it. I sure hope Violet Craft sees it. She will surely love it! What an amazing piece!! 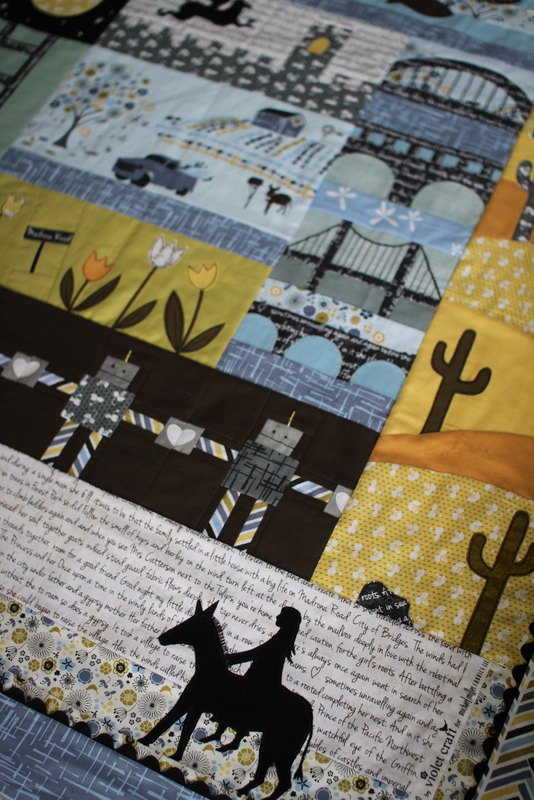 The way the whole thing comes together with the story, the fabric, the quilting, the back ... absolutely wonderful!! I love this quilt ~ think it's the best from the Madrona Road challenge I've seen! This is a truely amazing quilt. I love it. It was so thoughtful and brilliantly planned. I am seriously speechless. Definitely send a note to Violet Craft because she would really love to see this!! Just fantastic! I love every little detail...so beautifully done! What a wonderful work of art!! This a true labor of love. Spectacular! Thanks for sharing your journey in making this quilt. This is an amazing quilt Laurraine! So imaginative and beautifully executed! Outstanding! And very inspiring!! Congrats on a great challenge quilt! 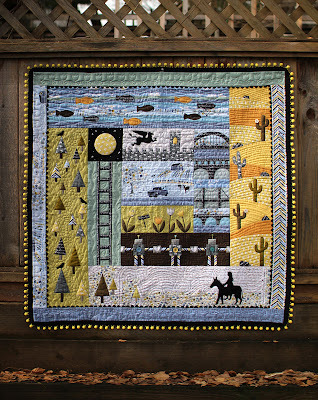 Laurraine,this is adorable, fascinating quilt! It's really delightful!!! Such a great work! Par l’intermédiaire d'une amie , je découvre votre joli blog et suis vraiment émerveillée par votre travail ..C'est tout simplement magnifique . Comme vous je fais un peu de Patchwork et je m'interesse a réaliser des paysages .Vous m'inspirez . Keep up the good work . Thank you . Have a good day . It's absolutely fantastic, Laurraine! A completely ingenious way to tell the Madrona Road story. I love how each section has its own character and quilting design. And the pompom trim makes it! Your quilt is amazing! I love how you told the story and your creativity is awesome. It does look like so much fun to do and a wonderful collection to get to use. Fabulous quilt! So creative and fun, and your attention to detail is amazing! what a story! i love the whole design and the process. thanks for sharing. 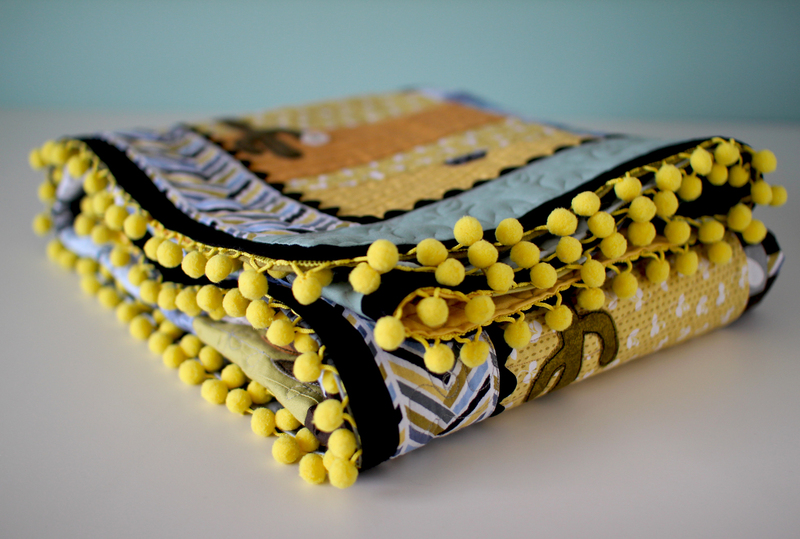 the pom pom binding is over the top! oh my goodness Laurraine! 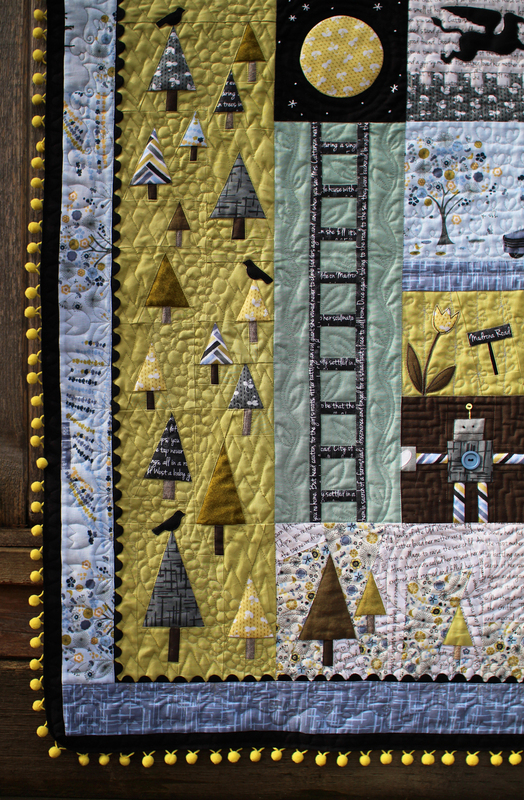 Every single stitch in your Madrona road quilt is artwork! All the details are just lovely!! You have created a masterpiece for sure! Such a wonderful quilt!!! So painstakingwork! I was impressed! 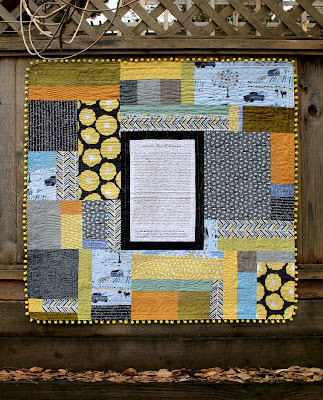 This is most definitely the coolest Madrona Road challenge quilt I've seen yet! Brilliant and beautiful. Amazing laurraine! A piece of art! You must have nejoyed the process so much! 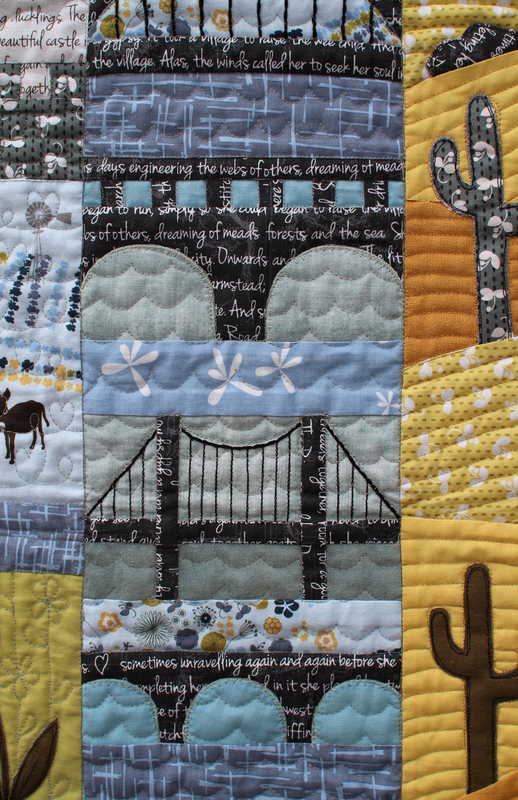 The patchwork quilts you shared here are really outstanding. I liked all of them. Thanks. Te escribo para darte las gracias porque ahora tienes traductor (español) siempre e visitado tu blog pero se me hacia difícil leer y deje de hacerlo hoy que te volví a visitar me doy con la sorpresa que tiene traductor te lo agradezco ahora lo puedo leer muchas gracias .....tienes hermosos y bellos trabajos te felicito. Oh this just looks amazing - wow you have done a fabulous job - truely amazing. Wow, your quilt is amazing. So wonderful work. Wow! This is completely stunning! And I love the trim! What a great idea for the challenge. Sorry I am months late commenting on this though. New follower now! witam:) obejrzalam Pani cały blog od poczętku do końca i jestem pod ogromnym wrazeniem Pani talentu! gratuluje serdecznie i życze dalszych dużych sukcesów! I love all the little details, thank you for walking us through the process of your design, and how you incorporate your ideas into the quilt. I really am taken by the pom-pom trim, that is really creative. I am trying to think of a project where I can use that idea! Love your blog... please post more! Another stunning design. Such a lot of work - but well worth it to see the finished item. Very, very nice. 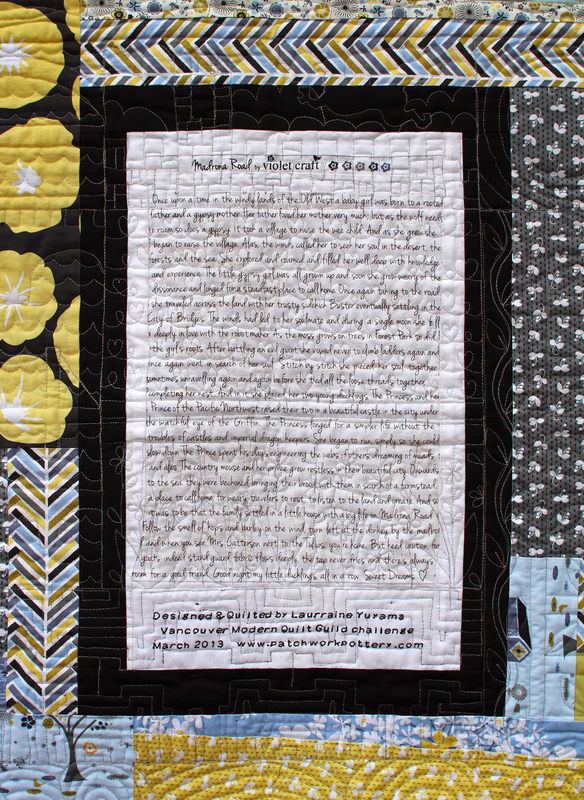 Totally awesome quilt that tells a beautiful story visually... if it means anything from a stranger on the other side of the world - very well done! Congratulations. 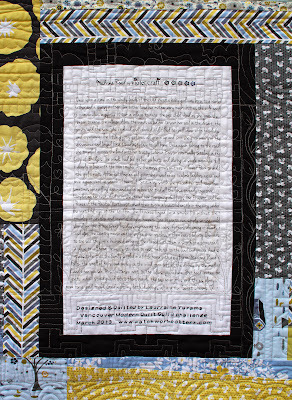 I am revisiting some of my favorite quilts made with Madrona Road today and I don't think I ever commented on your quilt!!! I love it so very much. You REALLY took the story to heart with your design and I appreciate that so much. Beautiful, beautiful work!